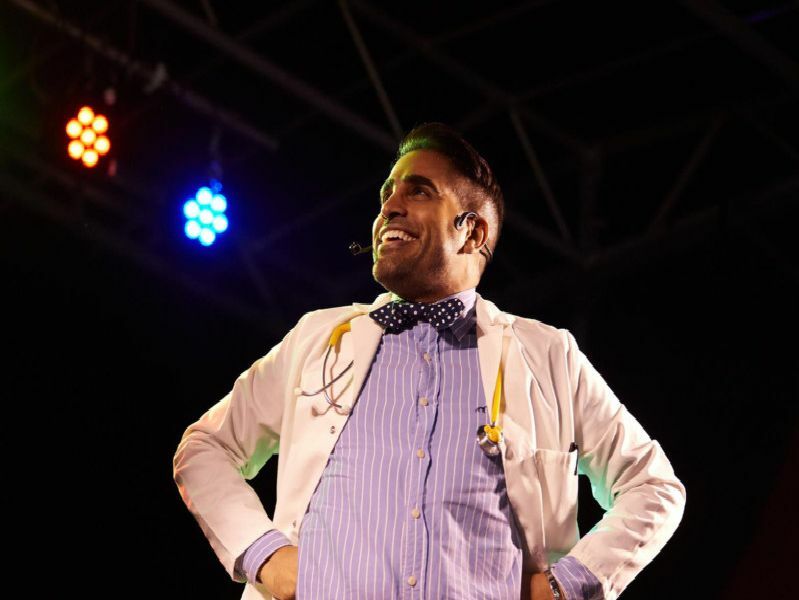 Dr Ranj, best known for his appearances on Strictly Come Dancing and CBeebies' Get Well Soon, made an appearance in Wakefield to switch on the Christmas lights at Trinity Walk Shopping Centre last week. 1. The TV doctor hosted a Teddy Bear Hospital on stage. Dr Ranj entertained the crowds with his Teddy Bear Hospital. The crowd joined Dr Ranj as he sang "Heads, shoulders, knees and toes"
3. Hundreds of people turned out to see Dr Ranj turn on the lights. Can you spot anyone you know in the crowd? Dr Ranj was joined on stage by teddy bears of all shapes and sizes.